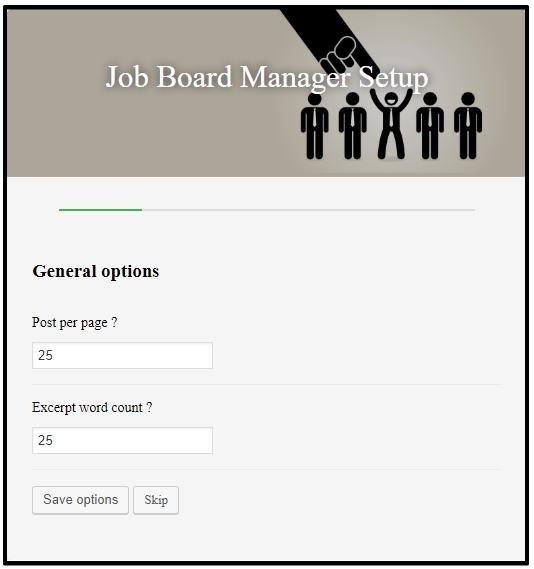 How to Create a WordPress Job Board using Job Board Manager Plugin? 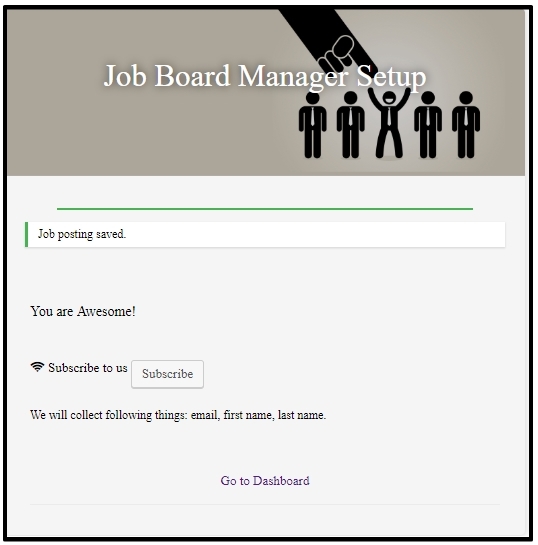 This is a document that help you create a WordPress Job Board using Job Board Manager Plugin! We recommend you to read Tablet of contents (TOS) before knowing where you can see your content quickly. Managing job site made easy by “Job Board Manager” plugin. 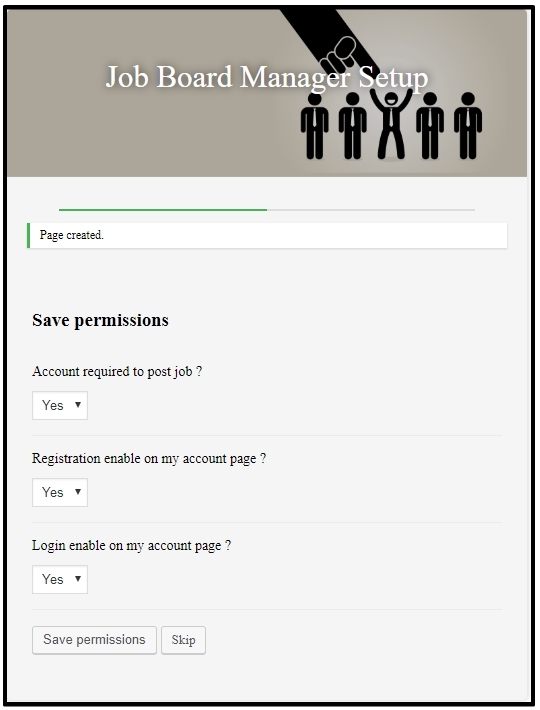 This plugin allows you to create job manager site, employer can submit job and employee can apply for job. 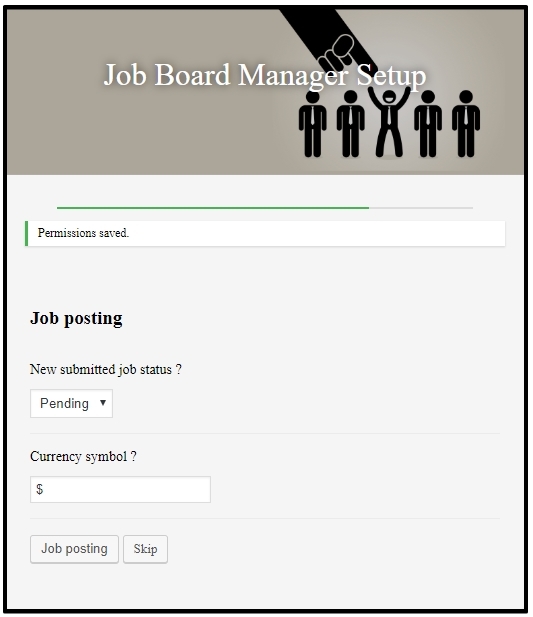 Just after installing Job board manager, there are some basic tasks you need to do. Here are the full details of the setup. In Job Board Manager Settings you need to provide the information of 2 settings that will effective on the front end side of your Job site. 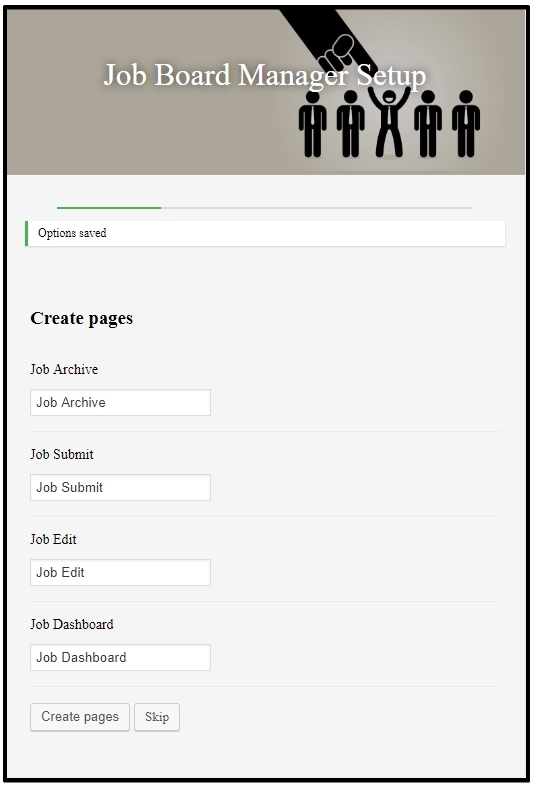 This is need for the job archive page, you need to set how many jobs you want to show at a time, Although there is pagination but it’s necessary to define the number of jobs loading in a page. Here you need to define how much longer the excerpt for each job. Say you give 20 here it means that the system will show only 20 words from the content of each job and show where short description is needed like in archive page instead of showing the full content. 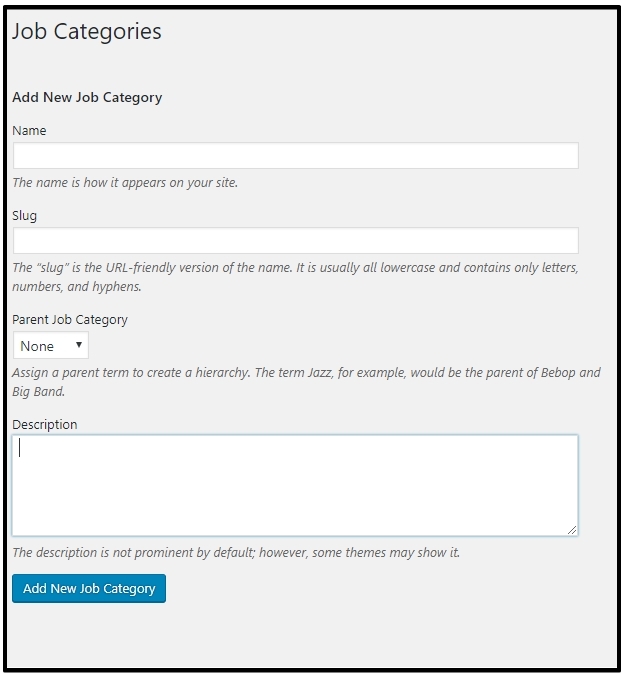 On the next page you need to create some pages to display job list, job submission form, Job edit and My Account or Job Account page. 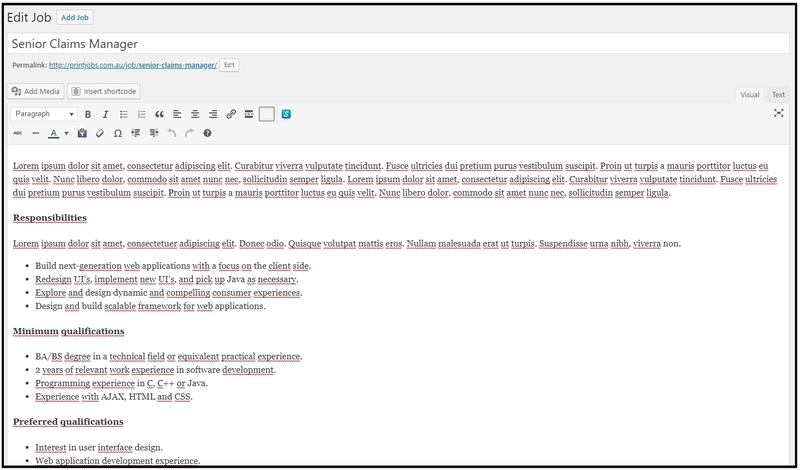 Plugin will automatically create the required pages. You can modified page title and the content as well whenever you want. Job Archive: Job archive page to display list of jobs. Job Submit: From this page the registered user can submit a new Job. 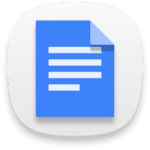 Job Edit: After submitting a job there might come several corrections, so to make the job submitter able to edit any job he/she submitted from a page. You can also use the short code below to use on latter. Job Account: Every person related with the Job website, is almost mendatory to have an account for different purpose like to create new Job, applying on a Job and so on. 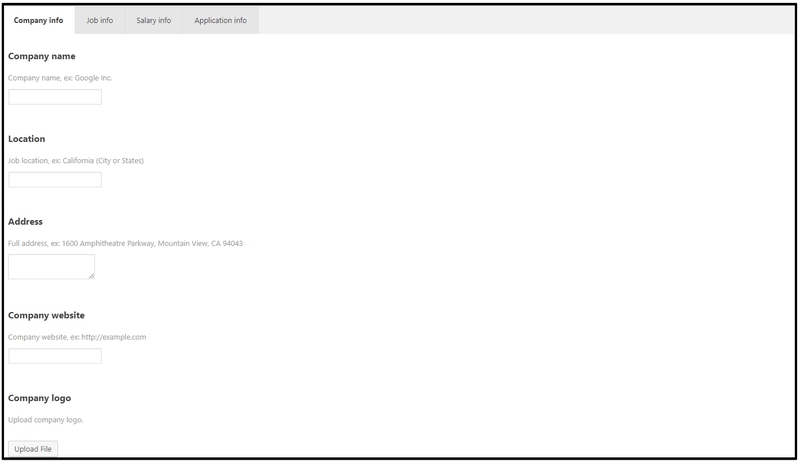 From this page user can easily monitor how many jobs he created or where he applied and all kinds of other things. After creating the pages, you need to save some permission. When a new job submitted what will the be the status of this Job? Set it from here. The salary and all other types of transnational fact will represented in this currency symbol. Now everything is done! You are just ready to go with Job Board Manager. 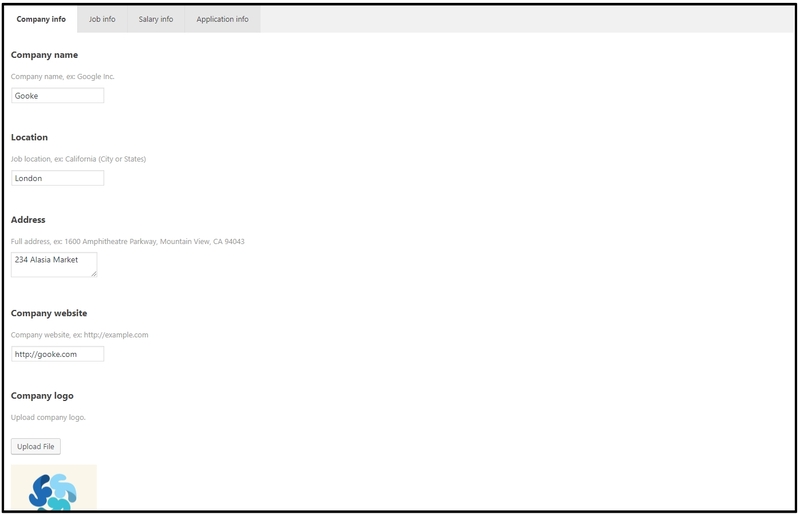 ***Note: After successfully install “Job Board Manager” you will see menu “Job” on your admin dashboard. before start creating job you need to save some settings. Step 2: Add New Job. Step 4: Click Publish to preserve your settings. Step 2: Select the job you want to edit. Step 4: Click Update to preserve your settings. To know more please read all the Documentation thoroughly again and again until you are on confusion. And Please feel free to contact us whenever you got something to ask. Thank you!